Hostal dos Reis Católicos in Santiago de Compostela, or Parador de Santiago, is a 5-star hotel with 5 centuries of history. 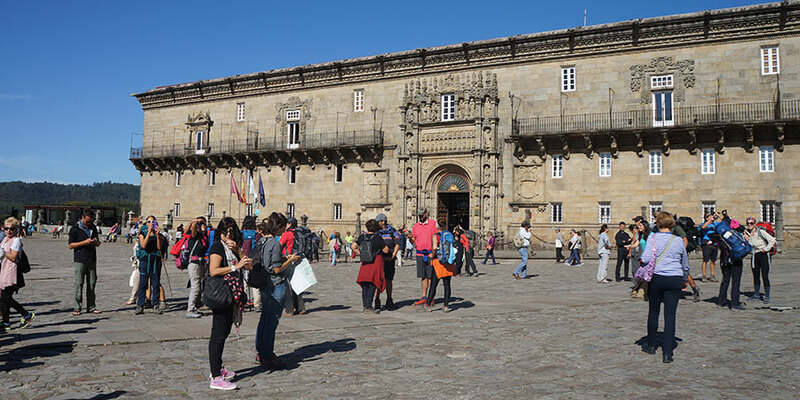 The Parador enjoys a privileged location right on the Praza do Obradoiro, Santiago’s most famous square with its imposing Cathedral and Santiago’s city council building. The Hostal dos Reis Católicos is considered one of the oldest hotels in the world and has indeed a very interesting history, linked from its very foundation to the Camino de Santiago and the pilgrimage to the city. 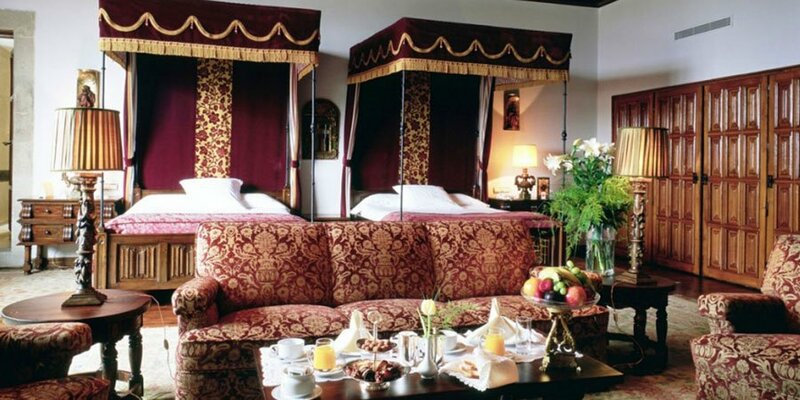 The hotel was opened in 1499 as the ‘Gran Hospital Real’, or Great Royal Hospital, by Isabel and Fernando, the so-called Catholic Monarchs to receive pilgrims after finishing their trip to Santiago, as well as tending to those in need of care. Upon presenting their ‘Compostela’, proof of their pilgrimage, pilgrims could stay at the Hostal for up to 3 days, free of charge. And this luxurious ‘Hostal’ and its majestic building has been welcoming pilgrims ever since. Still today, the Hostal honours that tradition by offering free meals to the 10 first pilgrims arriving at their doors and showing their ‘Compostela’. The restaurant at the Parador also offers a taste of the finest Galician products and its most celebrated dishes and gastronomy. Hostal dos Reis Católicos is more than just a hotel, it gives travelers the opportunity to stay in a beautiful monument linked to the history of the city and its most famous trail: the Camino. It is also a chance to reward and pamper yourself, enjoying a bit of luxury after your long journey. *For more information or to book your Camino de Santiago holiday, contact the CaminoWays.com travel team, we are always happy to help.